We’re completely obsessed with the Mandy collective bracelet and you’ll fall head over too! 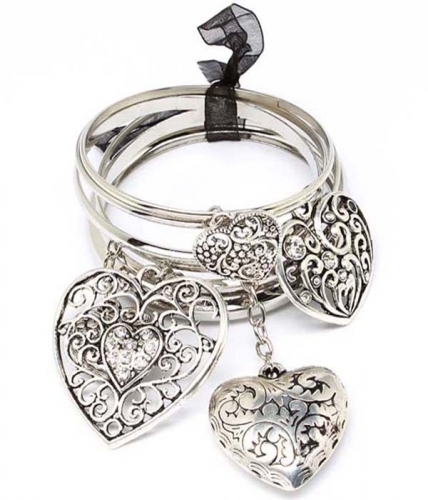 A simple set of fine cast silver bangles adorned with a family of intricately detailed heart charms and tied off by a single black ribbon. A perfect match for your prettiest summer dress. Go on, spoil yourself and shop online at Oz Bling today.